Arsene Wenger and Brendan Rodgers are currently under fire because of their squad’s lackluster performances in the top-flight league. Similarly, Hull is at risk of losing their Premier league status after dropping points during their Tottenham clash. Arsenal’s defeat to Manchester United and Liverpool’s frustrating loss to Crystal Palace have raised questions on whether Wenger and Rodgers should be sacked. These teams, which were once hailed as online betting favorites are now struggling in the league table. The Gunners have already fallen out of the top five (5) and Liverpool has already hit the mid-table. These results were a far-flung shot from what they have achieved last season. Both squads were strong title contenders, but right now, they’re nowhere to be found in the winning zone while its closest rivals, Chelsea and Manchester City have managed to remain on top. Southampton, which is a surprise package this season, has even outlasted them. Yet, Arsenal and Liverpool are not the only clubs that are having problems this season. Hull also goes through the same dilemma as they hit the rock bottom part of the league. The squad fell into the 17th spot after a narrow defeat to Tottenham. Hull is still safe from relegation though, but a single mistake in their upcoming matches could spell the difference for the club’s future. 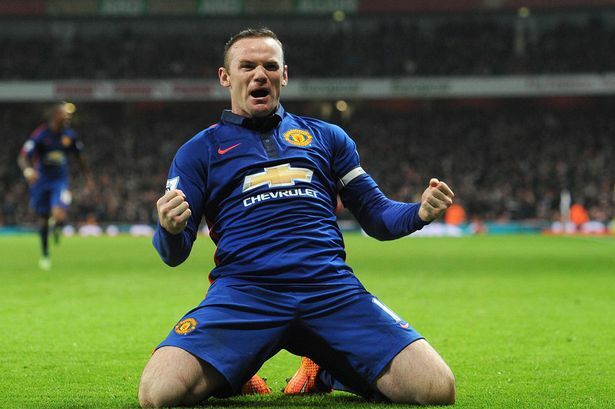 Wayne Rooney really stood out during the Arsenal match. His left footed shot in the 85th minute sealed Arsenal’s coffin and propelled them to the 4th spot of the league table. The Crystal Palace trio (Dwight Gayle, Joe Ledley and Mile Jedinak) are also worthy of plaudits after successfully thrashing the online betting favorite, Liverpool. Manchester United is showing some improvement. They’re slowly finding their way back to the top and hopefully, such change will bring more glory and prestige to the (struggling) club.